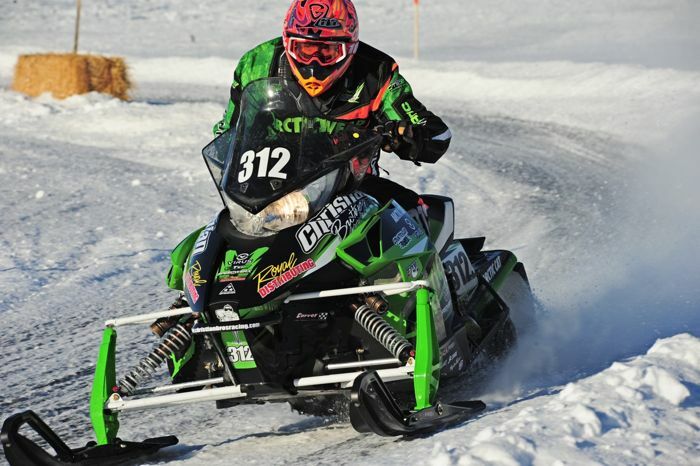 Christian Brothers Racing has teamed up with Arctic Cat and ISOC to give away a new Arctic Cat ZR120 snowmobile at all 8 of the 2015-2016 ISOC National Snocross events this season. Fans can register any day of the ISOC National Snocross event and any child 10 and under who is present at the time of the giveaway is eligible to win. Sign up at the Christian Brothers Racing merchandise trailer parked near the track. An old sage once said, "If there's snow, then go!" Even if it's not perfect conditions. 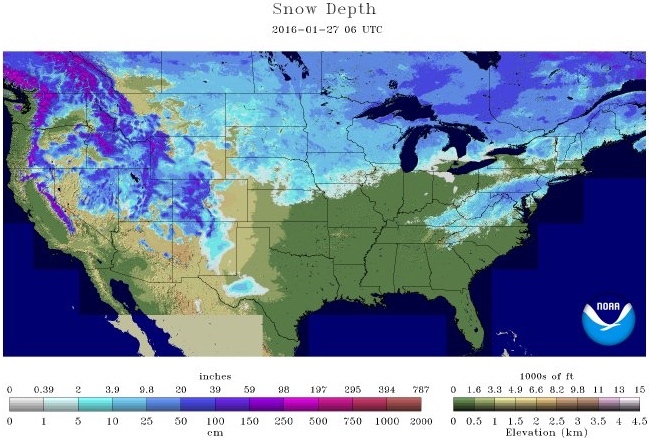 Click HERE for the NOAA site to get even more specific info about your area. Team Arctic snocross and cross-country racers brought it to a boil last weekend, burning up race courses in Deadwood, SD, and Thief River Falls to claim 25 wins and oodles-upon-oodles of podium finishes. Read the release, see the results and applaud Team Green for winning more. And just like that, Tucker Hibbert gets poor starts yet guns down his competition to sweep the Pro Open classes, this time at the 2016 ISOC National in Deadwood, SD. Christian Brothers Racing survived the 2016 Deadwood snocross, claiming multiple top-10 finishes in Pro Open and Pro Lite. Watch, listen and enjoy their weekend recap. I'm thankful that a quick gutting can get you eating venison tenderloins as fast as you can say, "Oh $#!T!" I'm thankful for the nice splatter effect on the camera lens. That's Hollywood slasher movie stuff. I'm truly thankful that the rider is okay (although the same cannot be said of the deer). And I'm thankful it's Friday, Jan. 22, 2016. Want to see what a world record-setting 1/8-mile drag run looks like? 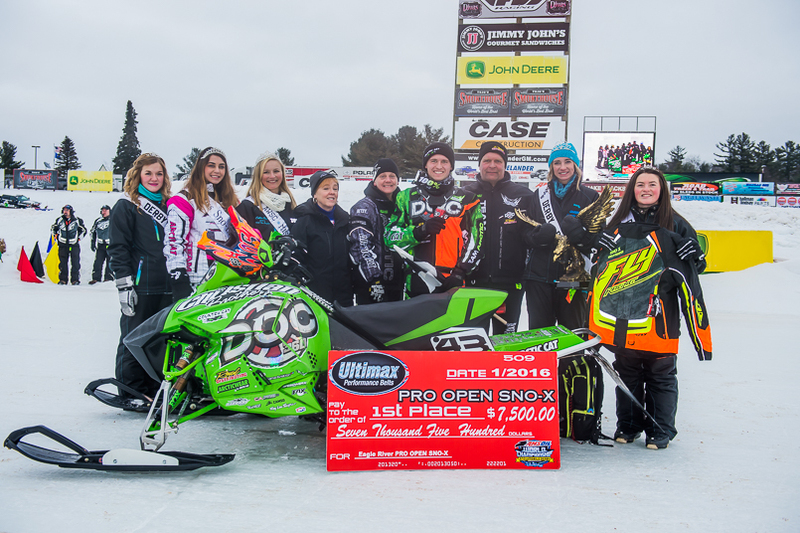 Check out this 4.36-second, 155-mph run by Danny Steinmetz while piloting Jeff Ratzlaff's wicked Arctic Cat turbo at the Northern Drag Racing Series event in Detroit Lakes, Minn.
During the run, Steinmetz beat the previous record of 4.42 seconds. 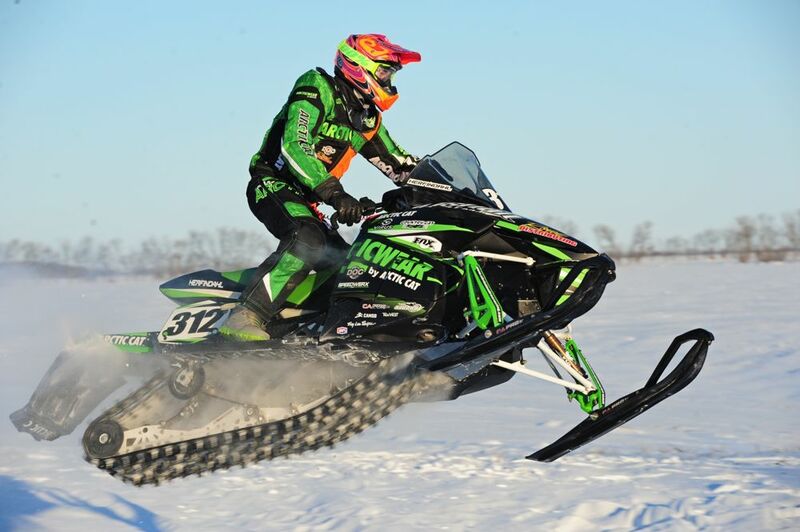 Ratzlaff is from Langdon, ND, and his custom Arctic Cat features a ProLine chassis with a Hyperspots-built 9000 Turbo that pumps out 604-hp (thanks to a Precision Turbo boosted to 50 psi). Don't blink, you'll miss the show. 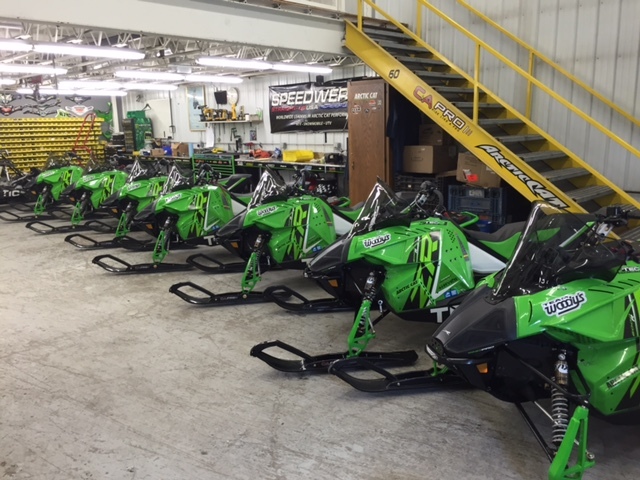 The custom 2016 Arctic Cat Soo 500/Enduro Sled project is complete, with five remaining machines now available to racers who want the ultimate turn-key ice sled for this and future seasons. One of these machines has been tested for 500 miles on an oval, and raced 100 miles to prove the set-up (where it won). All have been updated with the latest EFI programming. Team Arctic stayed on the gas in USXC cross-country competition and in snocross at the Eagle River World Championships. Oodles of wins, piles of podiums and lots of fist-pumps. Christian Brothers Racing teammates Logan Christian and David Joanis went 1-2 in Pro Open Snocross at the Eagle River World Championship last weekend. "World Champion" has a nice ring to it, huh Logy?! Click to read the team's report from the event. 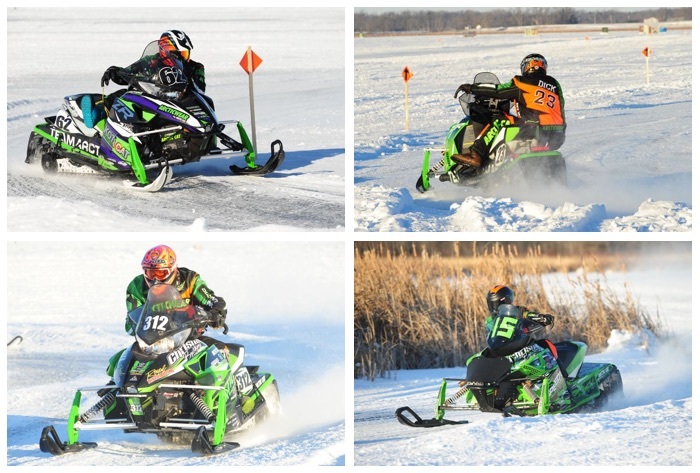 Check out the sweet Canterbury Snocross recap video from Christian Brothers Racing. 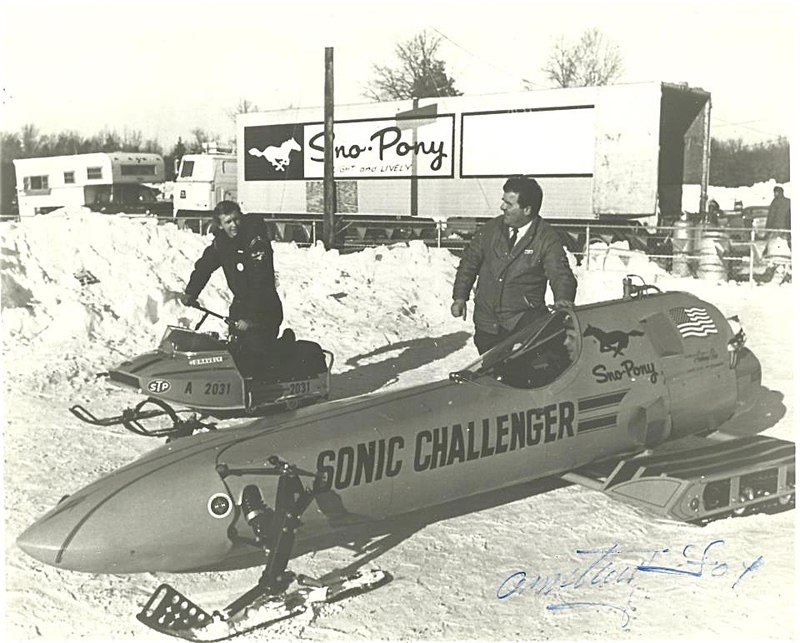 I'm thankful for the wild, chest-pounding days of yesteryear, when snowmobile manufactures built over-the-top speed machines to promote cute little consumer sleds that were barely fasters than today's 120s. I'm thankful that long before there were "SledNecks" decals on every 18-year-old's truck, sled and bedroom mirror, there were "STP" decals on every truck, sled and bedroom mirror. Seriously, I'm thankful when ANYONE builds a sled that looks like a rocketship. And I'm thankful it's Friday, Jan. 15, 2016. One of my New Year's resolutions for this site is to reprise the semi-regular sharing of interesting news links that come across my desk via the inter-webz. Some are informative, some are wonky, some are entertaining. Thinking about producing a slick edit of a crazy waterskip? 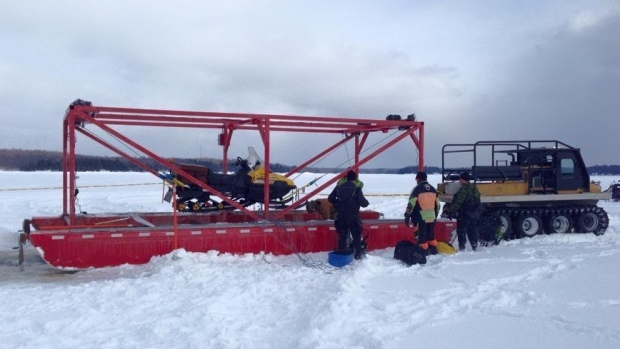 Consider THE COST OF SLED RESCUE in case of failure. Whew! Just in the nick of time: a crucial snowmobile trail reroute to prevent BLOWING THE LID OFF OF A MASSIVE LANDFILL! 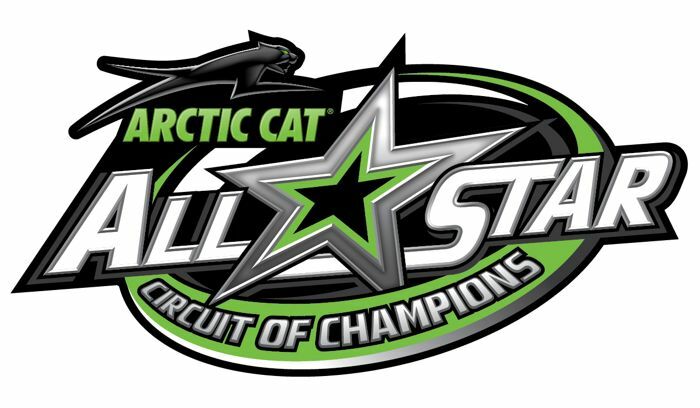 Arctic Cat is now the official title sponsor of the All Star Circuit of Champions sprint car organization. Owned by NASCAR champ Tony Stewart, the Arctic Cat All Star Circuit of Champions is a staple of grassroots open-wheel racing. Events will showcase Arctic Cat Wildcat models with exhibitions, displays, racing and ride-and-drive events for fans. The first race of the season is Feb. 5 at Bubba Raceway Park in Ocala, Florida. 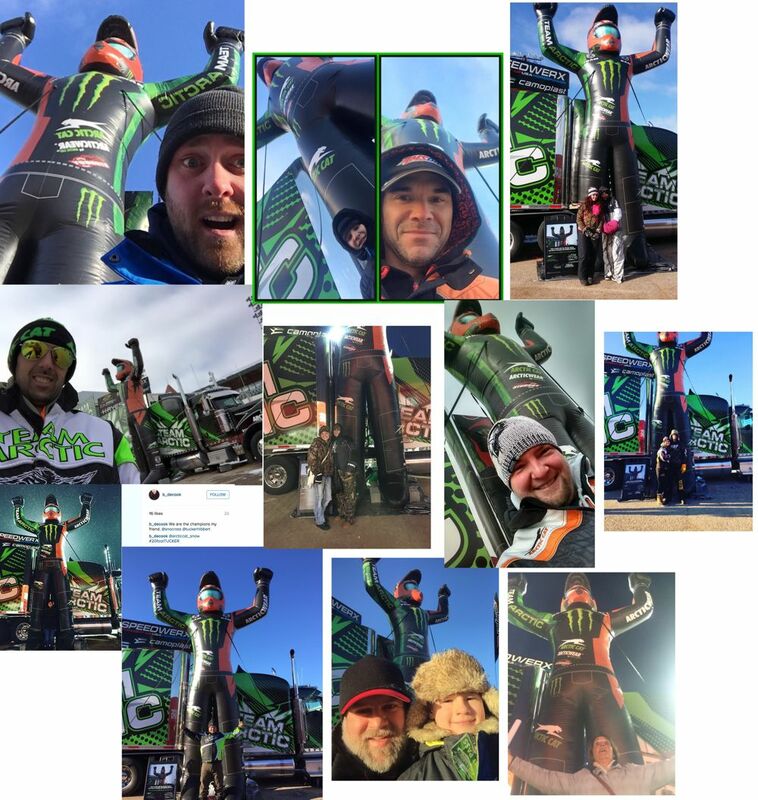 Starting this past weekend at Canterbury and continuing at each stop through the remainder of the 2016 ISOC snocross season, a 20-foot-tall Tucker Hibbert will command the skyline while waiting for you to take a selfie (and get a chance to win a $250 gift card). I realize that the real Tucker is much taller than 20 feet, but the crew needed something they could fit in the Ram box of a truck in between races. So get your #20FootTucker groove going! Dude crushed it at Canterbury. Here's the video to prove it. BAM! 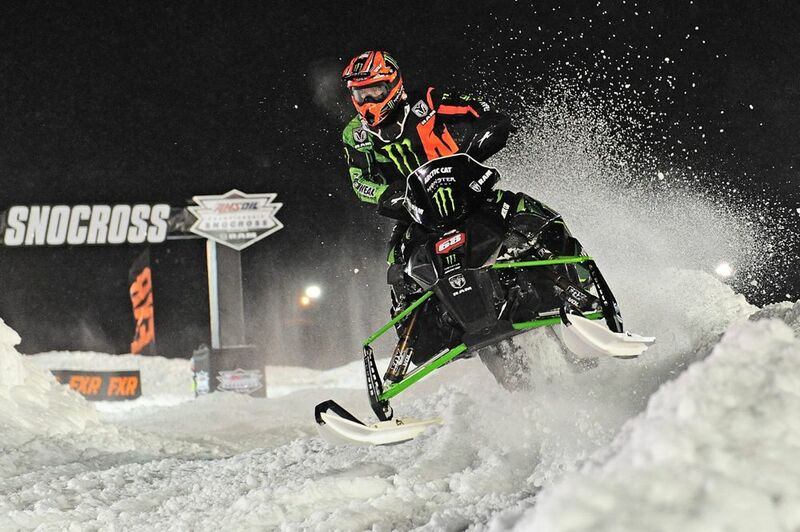 Holy Schamoly did Team Arctic unleash the winning beast this past weekend in snocross and cross-country! At the Canterbury SX, they won 9 of 17 classes and nearly 50% of all the podium places. At the Devil's Lake, ND, XC, it was 16 wins (out of 20 classes) and 80% of all the podium positions. Click to read the team press release and see the results. The 2016 cross-country season kicked off at its traditional venue, the Gerald Dyrdahl Memorial 200 on Pine Lake in Gonvick, Minn.
As has also been traditional in recent years, Team Arctic did WAY more than their share of the winning. Click to read a bit about the race and see all of the Team Arctic race winners. 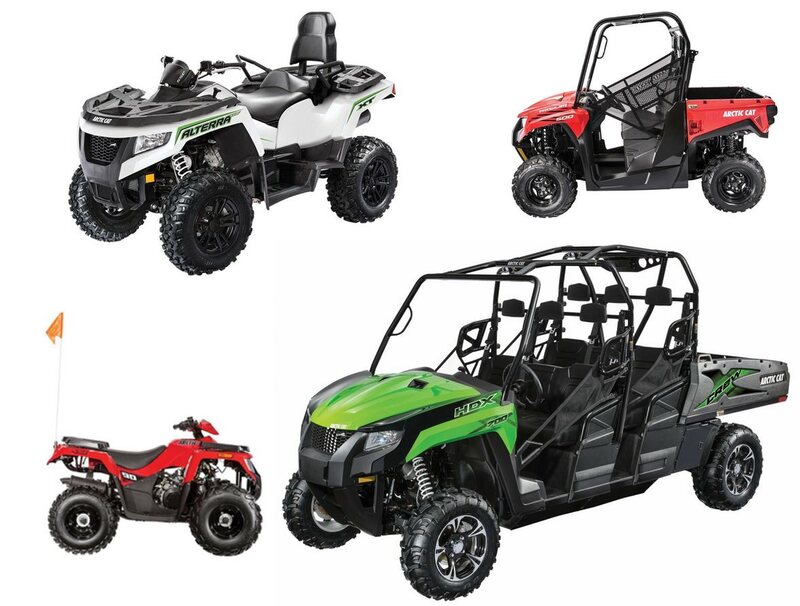 Arctic Cat just released several all-new ATV and ROV models, some tagged as 2016 models and others as 2017s. There's an all-new Crew-cab HDX, and mid-sized Prowler 500, Alterra TRV models, fresh new colors and an Alterra 90. Roost on over to see the latest dirt models from Arctic Cat. Team Arctic hit the ground running a the first USXC cross-country race of the season on Pine Lake in Gonvick, Minn.
14 of 21 class wins and 44 of 63 podium finishes is pretty awesome.